This Christmas Eve we decided to do something a bit different and go for an Indian before exchanging gifts. The other half has been banging on about Archana since we started seeing each other, ‘best Indian in Belfast’, ‘best Indian I’ve ever had’, ‘we should go, it’s amazing’…etc etc. So we went and the boy delivered. 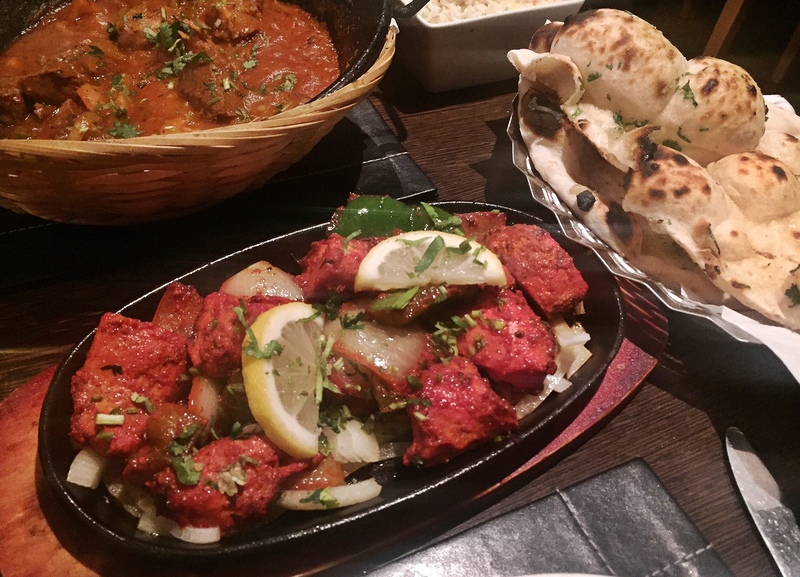 I’ll throw my hands up now…it’s a short review but yes, it’s definitely the best Indian I’ve ever had. I will however explain why I feel this way. Belfast isn’t short on Indian restaurants, nor indeed excellent Indian restaurants. I’ll happily recommend Cafe Naz or Safa any day of the week but there was something truly special about Archana. Nestled into an unassuming spot on the Dublin Road you could easily walk or drive past every day and not spot this little gem. It looks tiny from the outside and indeed the ground floor seats only a few and you will be pushed for space but this only adds to its charm and feeling of exclusivity – rest assured there is a full floor above that can easily take another 30-50 people. The food itself was exquisite. The flavours were rich and my boyfriend’s face was just red enough to know that his was the right amount of spicy! Everything tastes really fresh and the menu assures you each meal is cooked to order – no batches of curry here! The real difference in Archana from any other Indian restaurant I’ve been to is the sense of familiarity – I mentioned ‘exclusivity’ earlier and once seated, there is a little sense that you’re part of a club that knows good food. They really take care of you and they know their regulars. There was a family when we were there who staff knew by name and were having a friendly chat with for a few minutes at the end of their meal. Don’t worry – the staff are far from overbearing but I get the impression that once you’ve been a few times you will get to know the them quite well (and they you). Not only this but they cater so much to their customers that they’ve even named some of their meals after them! At the back of the menu you will find the likes of Paul’s Rogan Josh – then an explanation why this is not the typical Rogan Josh (perhaps there are different spices involved or not the usual vegetables), this will be accompanied by a suggestion of some kind whether it be a certain drink or side. It’s little touches like this that show that this is not just your usual restaurant, but somewhere that has been built around its customer which is more than alright by me. At the time of writing this the Archana website is currently unavailable but I would assume it will be back up soon. You can see for yourself through the power of TripAdvisor however just how happy people who have visited have been with both the food and service.